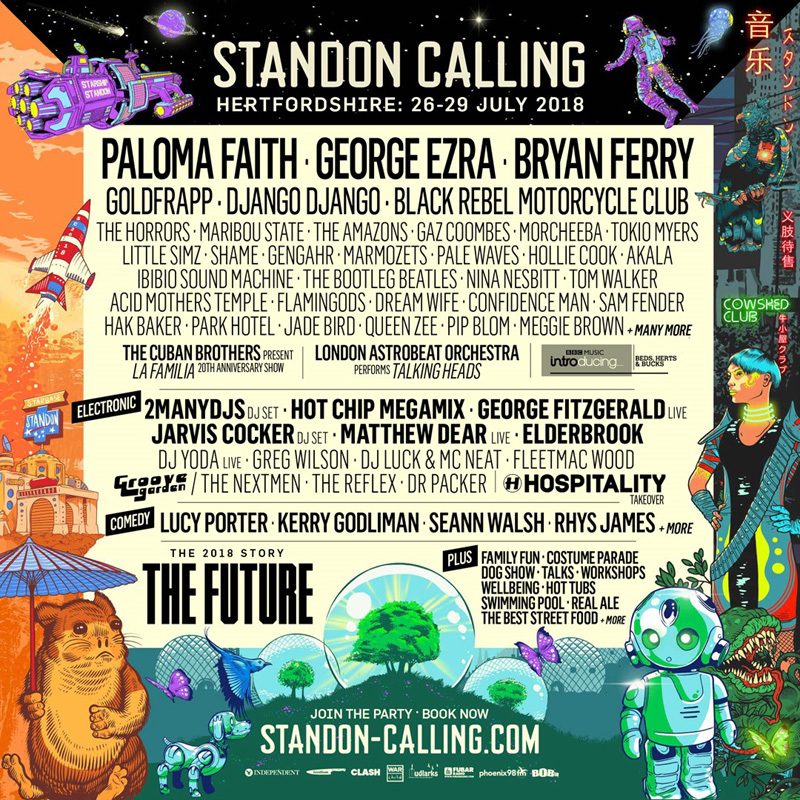 The 13th edition of Standon Calling takes place from Thursday 26th – Sunday 29th at Standon Lordship, in Hertfordshire. 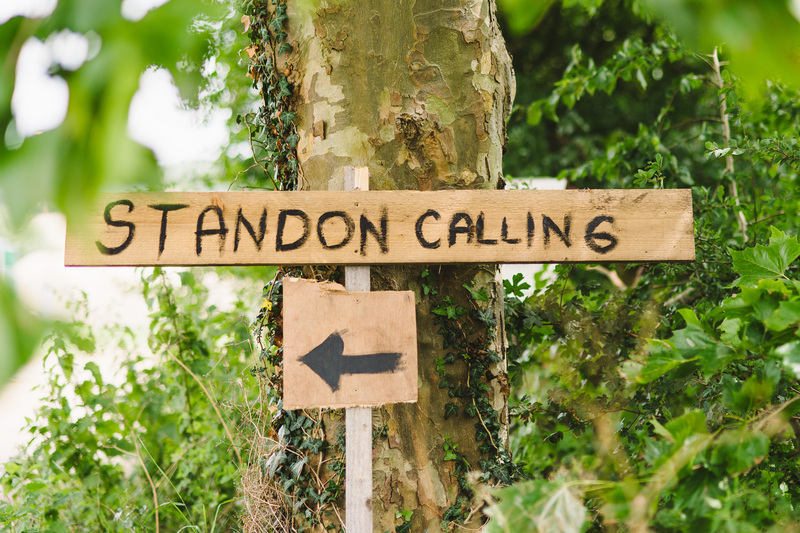 Standon Calling offers non-stop fun and moments festival-goers can dive into - a weekend that doesn’t point you in a certain direction, but allows you to zig and zag through all its unique offerings. It is the biggest dog-friendly festival in the UK with an epic Dog Show, you can enjoy a mouth-watering array of stellar Food & Drink from London’s very best street food favourites, take a dip in the heated Swimming Pool, relax in the Hot Tubs or take part in a whole range of free Wellbeing Classes and Workshops at the Wild Wellbeing Camp. Throw in a brand new Playing Fields area for 2018 - with Lord Trenchard’s Cricket Match, Binocular Football, Sock Wrestling and more - and you start to see why festival-goers come back for more year after year. This years Standon boasts a diverse line up including headliners Paloma Faith, Bryan Ferry and George Ezra. They will be joined by the likes of: Goldfrapp, Django Django, Black Rebel Motorcycle Club, The Horrors and Gaz Coombes, plus The Amazons, Shame, Marmozets, Pale Waves, Gengahr, Dream Wife, and Confidence Man. During the day there will be plenty of fun for all the family including: Horrible Histories, and Andy and The Odd Socks. The Woodland Tribe encourages creativity, teamwork and fun as kids work together to build their own playground in the woods before playtime begins in earnest. The Indie Kids’ Kids Disco - from the guys behind Club De Fromage - are also on hand, soundtracking family fun. Enjoy a whole range of activities and entertainment in dedicated kids spaces, perfect for babies to teens and even take advantage of on-site babysitting service Mortimer Nannies.